ICEYE, an Earth observation company providing synthetic-aperture radar (SAR) data, today announced €29 million Series B funding led by return investor True Ventures and supported by Draper Network VC funds and others. Building on ICEYE’s recent aerospace industry achievements, the Finland-based SAR data company will use the new capital to expand its custom analytics services for its growing customer base, further develop its SAR satellite technology, as well as fund additional launches of ICEYE SAR satellites. ICEYE’s Series B funding round includes financial backing from previous investors True Ventures, Draper Nexus, Draper Associates, Seraphim Capital and Space Angels Network. The funding round is joined by new ICEYE investors OTB, Tesi, Draper Esprit and Promus Ventures. To date, ICEYE has raised a total of $53M, including government financing from Finland and the EU’s Horizon 2020 program. In January, ICEYE successfully completed a historic landmark in aerospace by becoming the first organization in the world to launch a SAR satellite with a launch mass of under 100kg. With darkness or clouds covering two-thirds of the planet at any given time, SAR technology delivers reliable imaging even when optical imaging cannot. Providing timely imaging data to both governments and commercial entities, ICEYE is helping its customers solve some of the world’s toughest challenges in sectors such as the maritime industry, disaster management, insurance, finance, security and intelligence. Following the January 2018 launch of ICEYE-X1, ICEYE is launching two additional satellites this year. 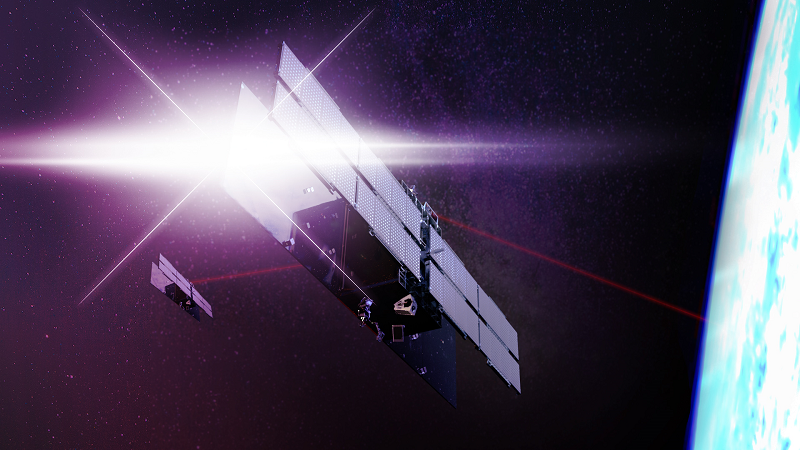 ICEYE is aiming for a total of 9 upcoming satellite launches by the end of 2019 and is actively seeking out launch operators to continue the company’s rapid acceleration towards the future. Jussi Sainiemi, Investment Director at Tesi, comments that "ICEYE’s technology enables high-grade and cost-efficient satellite imagery. It opens up new opportunities for innovative data usage never before viable with conventional satellite technology. The company has succeeded in attracting exceptionally high-profile talent as both owners and advisers. That in turn adds credibility to successful implementation of the company’s plans. We are very happy to be a part of ICEYE’s story." Founded in 2005, True Ventures is a Silicon Valley-based venture capital firm that invests in early-stage technology startups. With more than $1.4 billion under management, True provides seed and Series A funding to the most talented entrepreneurs in today’s fastest growing markets. The firm maintains a strong community that supports founders and their teams, helping True companies achieve higher levels of success and impact. To date, True has helped more than 250 companies launch and scale their businesses, creating over 10,000 jobs worldwide. To learn more about True Ventures, visit www.trueventures.com.